Turkey and dressing are always in Thanksgiving fashion. But other foods—for example, Mystery Cake or Velvety Crab and Cheese Soufflé—slip in and out of style much more quickly. 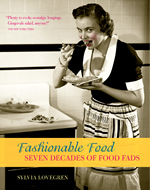 So, after you’ve had your fill of Thanksgiving classics, why not experiment a little by planning your next course with the help of Sylvia Lovegren’s Fashionable Food, which explores less-constant dishes by examining our collective past from the kitchen counter. Or expand your culinary horizons by traveling across time or land to learn about Market Day in Provence, food and feasting in ancient Rome (try some Roman recipes! ), or even The Oldest Cuisine in the World. Whatever your tastes, our eclectic list of books on food and gastronomy, are sure to satisfy long after you’ve polished off the last leftovers. . . . 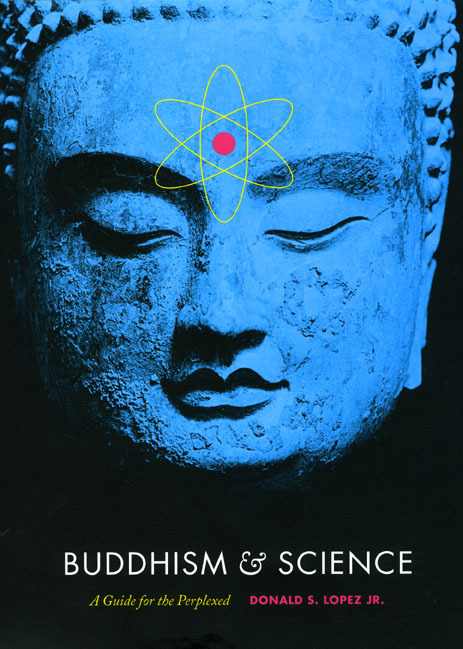 In honor of the publication this month of Buddhism and Science: A Guide for the Perplexed, author Donald S. Lopez Jr. distills his book into this handy guide. Six Things You May Not Know about Buddhism and Science 1. Although the statement is widely attributed to him, Albert Einstein never said, “The religion of the future will be a cosmic religion. It should transcend a personal God and avoid dogmas and theology. Covering both the natural and the spiritual, it should be based on a religious sense arising from the experience of all things, natural and spiritual as a meaningful unity. If there is any religion that would cope with modern scientific needs, it would be Buddhism.” Einstein appears to have occasionally made passing references to the Buddha in conversation. Yet something compelled someone to concoct this statement and attribute it to Einstein, the Buddha of the Modern Age. And since the time when Einstein didn’t say this, intimations of deep connections between Buddhism and science have continued, right up until today. 2. Claims for (and against) the compatibility of Buddhism and science originated in the encounter between Buddhists and Christian missionaries to Asia. One of the first such encounters . 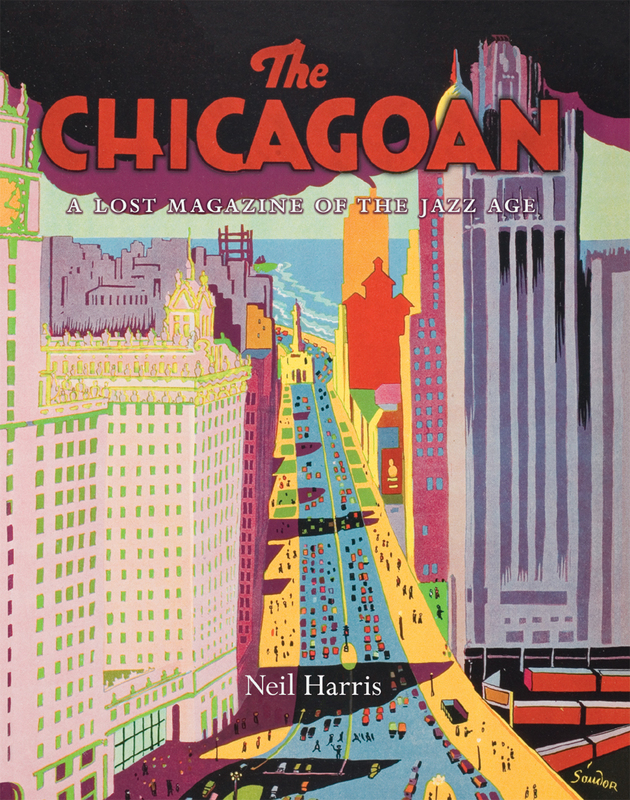 . .
Last Sunday’s New York Times Book Review closes with a noteworthy piece by Matt Weiland on Neil Harris’s, The Chicagoan: A Lost Magazine of the Jazz Age. 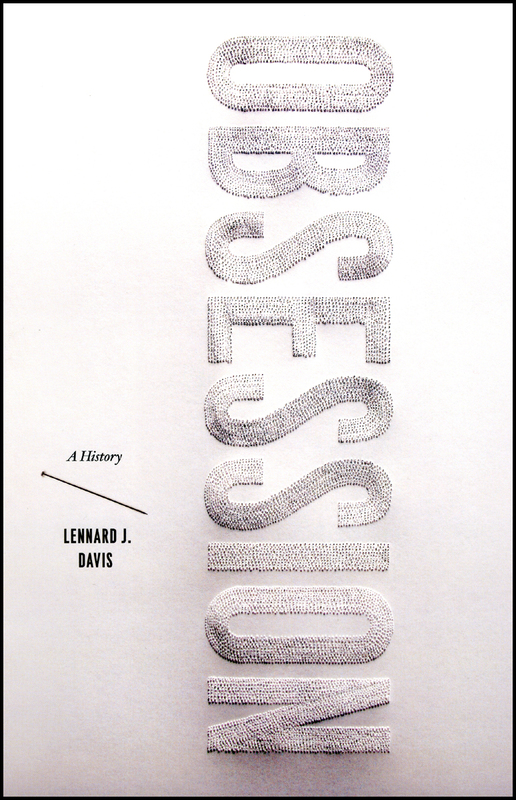 Weiland praises the book for its handsome resurrection of one of Chicago’s most stylish publications, offered here for a whole new age to enjoy: was founded in 1926 by a group of Chicagoans inflamed by the example and success of the New Yorker, which had begun the year before. It was published every two weeks, and before long Time magazine was heralding it for having the “finish and flair worthy of a national publication.” But its readership began to decline as the Great Depression set in, its frequency was reduced to monthly, and in 1935 it died a quiet death. Somehow this vibrant magazine was completely forgotten until a few years ago, when the distinguished cultural historian Neil Harris came upon a set of the magazine’s run in the library of the University of Chicago. 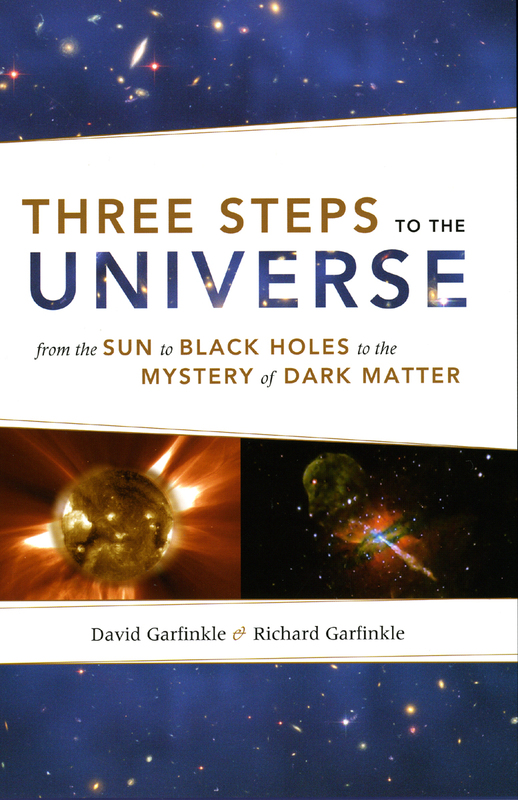 It has now been brought back into print, if not to life, by the University of Chicago Press. What a marvelous job they have done! This is a book you will want to own, a coffee-table . . .
Pirates have been making headlines recently, and not the dreamy Johnny Depp kind of pirates, either. Armed buccaneers off the coast of East Africa prey on cargo ships hauling food, expensive machinery, and oil. According to USA Today, pirate attacks in the Gulf of Aden and off Somalia are up 75% this year. 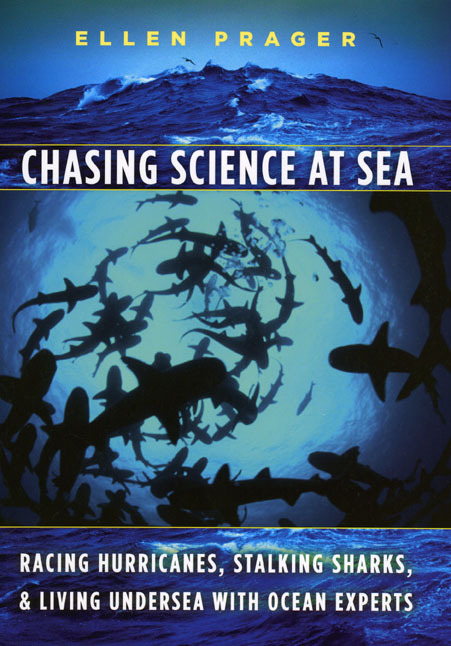 We asked our resident high-seas expert Ellen Prager if she had ever had an encounter with a pirate, Jack Sparrow-esque or more malevolent, while chasing science at sea. Here’s what she had to say: When planning for fieldwork, ocean scientists usually think about research instruments, supplies, food, and, of course, safety. And that last one now includes the very real potential of encountering pirates. Today, Somali pirates are getting bolder, as evidenced by the recent hijacking of a Saudi supertanker filled with millions of dollars worth of oil. But in August of 2001, it was a research vessel that was at risk. Armed assailants pursued the US Research Vessel Maurice Ewing while they were in waters 30 km off the coast of Somalia. The crew was able to fend off the attackers, but the incident spurred great concern within the scientific community and funding agencies. After the . . . The 62nd annual Latke-Hamantash Debate takes place tomorrow evening, November 25, at 7:30 pm at Mandel Hall, 1131 E. 57th Street on the University of Chicago campus. This year the affair takes on something of the flavor of a presidential debate: . . .
“In all the seven seas and the lands bordering thereon there is probably no name which more quickly calls up thoughts of crime, violence, and wickedness than does that of Chicago.” So wrote journalist R. L. Duffus at the height of the Jazz Age—and he was not alone in that opinion. During those heady days, writers and newspapers nationwide lamented Chicago’s utter filth and brutality. For most, the Windy City conjured images of slums, squalor, and social pathology. An industrial Gomorrah that made heroes of corrupt politicians, mob bosses, and murderers, Chicago had a serious image problem. Enter the Chicagoan. Urbane in aspiration and first published just sixteen months after the first appearance of the New Yorker in 1925, the magazine sought passionately to redeem Chicago’s unhappy reputation. In its own words, the popular biweekly claimed to represent “a cultural, civilized, and vibrant” city “which needs make no obeisance to Park Avenue, Mayfair, or the Champs-Elysees.” The University of Chicago Press is proud to publish The Chicagoan: A Lost Magazine of the Jazz Age by noted historian Neil Harris. The book brings this forgotten magazine back to brilliant and vivid life for a new generation of readers to enjoy. Read . . .
Tim Reid and Tom Dreesen contributed an editorial piece to CNN.com about the effect of Barack Obama’s election on racial humor—a topic they are well-qualified to address as evidenced by their book Tim and Tom: An American Comedy in Black and White. 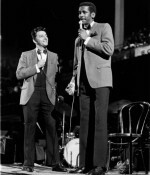 In the editorial they touch on the routines they developed forty years ago, using them to illustrate the “challenge and the opportunity that comedy about race faces today.” We figured that if we were going to make comedy out of a black man and a white man sharing the same stage, it would have to be equal-opportunity comedy. Race wasn’t the punch line in our routines, it was the vehicle. The aim was to get people to see, and to laugh at, the irony of racial attitudes in America. And that’s the challenge and the opportunity that comedy about race faces today. The presence of the Obama family in the White House means that it can’t be business as usual any more. America, black and white, won’t be amused by humor that trades on the old stereotypes of interracial social encounters, impressions and fears. Like it or not, change has come. O.J. is in prison, and a black . . . If you’re one of the many tourists flocking to Barack Obama’s Chicago home, you’ll come up against formidable barricades. And touring the rest of what the city has dubbed Presidential Chicago will only take so much time. So, after you’re done following in the president-elect’s footsteps, why not chart a path of your own? • Our Guide to Chicago’s Murals, divided into easy-to-read geographical sections with useful maps for walking tours, is the perfect companion for tourists or Chicagoans interested in coming to know better this aspect of the city’s history. • Chicago’s Famous Buildings get a similarly user-friendly treatment in our leading pocket guide to the architecture that comprises Chicago’s breathtaking skyline, its dozens of monuments, and its historic legacy. • For fairweather travelers, The Chicago River, by veteran river tour guide David Solzman, offers a diverse collection of easy and enjoyable tours for anyone who wants to experience the river by foot, boat, canoe, or car. • If you don’t want to leave Obama territory, The Robie House of Frank Lloyd Wright functions as the perfect companion for a visitor to what may now be the second most famous home in the neighborhood. • And, finally, the Press . . .